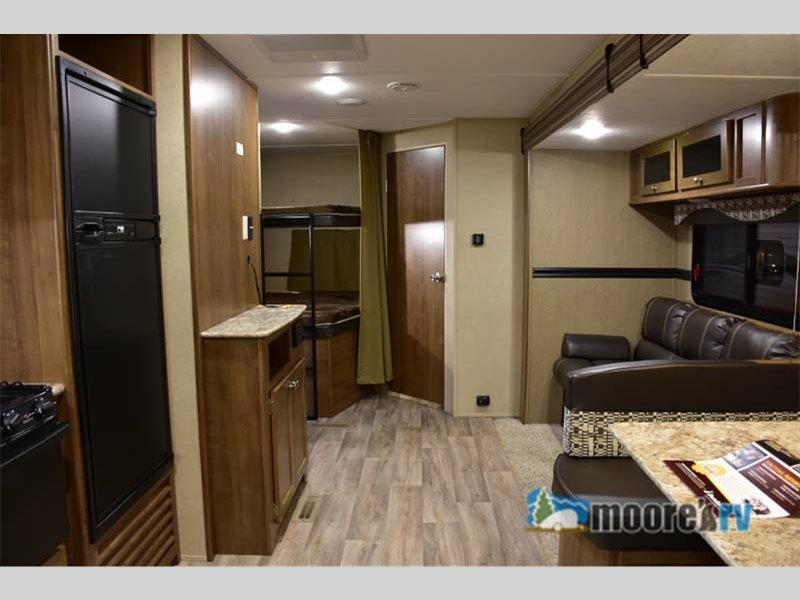 At Moore’s RV, we want to make it easy for you to get the right RV to fit all of your needs. 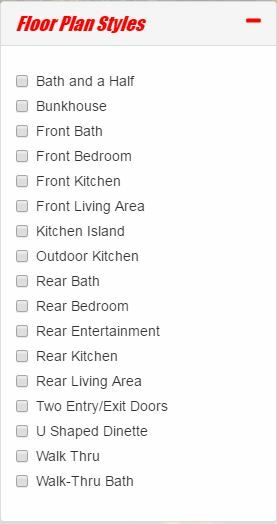 One of the ways we do this is by having an incredibly simple to use Search feature, so you can pick and choose the specific RV features and floorplans that you want! Find the perfect RV for you with our easy-to-use search function! For example, maybe you are looking for an RV with a specific style of floorplan such as one with the living room in the front or one a bunk house to add space for more people. Well, with the Search feature, you can find just the campers that will fit these needs. Search for specific features like a bunkhouse! Search Function: On every page in our website, the Search bar will be located in the same spot: the upper left hand side. Just look for the little magnifying glass and click it. Search Page: This will take you directly to the search page where you will find all of the RVs we have on sale. Everything from the new and used models to the options that can sleep anywhere from two to over nine people will be listed here for you to view. Floor Plan Styles: On the left side of this page will be numerous dropdown menus that will allow you to pick the items you want, and one will read “Floor Plan Styles.” When you click this menu, you will see all of the options such as bath and a half, kitchen island, rear bedroom, and so much more. Check Boxes: Here you can click on the boxes in front of each of the items that you desire for your RV, and then the website will remove everything that doesn’t fit your specifications. So you will only be looking at those options that are perfect for you! Check boxes to find the RV floorplan you want. It’s just that simple! The Search function is meant to take all of the stress out of finding the best RV. You can also contact us or stop by our location because we would love to assist you with finding the new or used RV of your dreams!